Ballet is essential for all types of dance. The Ballet program at Andrej Palinsky starts with the youngest dancer and continues on to the advanced and adult levels. 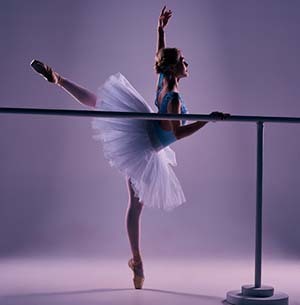 Ballet is the basis for all types of dance. Proper technique as well as positions of the arms, feet and body are taught in all of our ballet classes. All classes have barre center floor and steps across the floor. Creative movement and fluid transistions of graceful steps are emphasized in all levels. Young dancers from the ages 3 thru 10 dance in ballet shoes. At approximatlely 11 or 12 years of age and at least 3 years of dance, students may be considered for pointe.